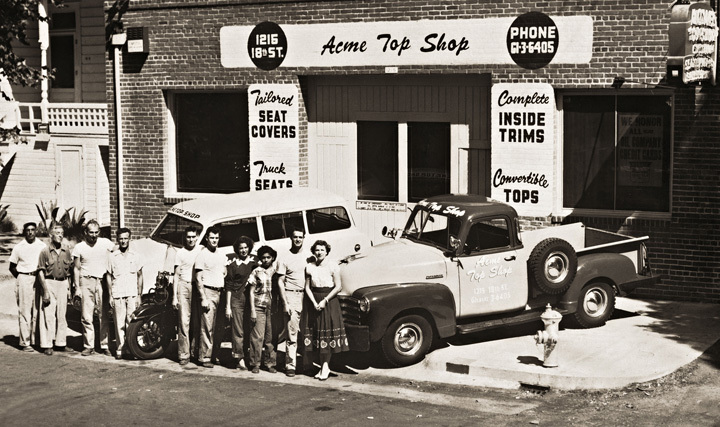 Acme Tops & Tunes, has been serving loyal customers in the Sacramento Area since 1945. Formerly located downtown at 18th and L st. Ted Sobey's Acme Top Shop became a Sacramento landmark. The old "We Cover All Seats" logo identified us as an upholstery shop. Most people do not know that we were one of the first retailers to sell and install car stereos. Now located at 6430 Franklin Blvd., the tradition of quality continues. Acme is proud of our employees individual and collective experience. Some employees have been with us for over 25 years! Acme Tops & Tunes, is dedicated to customer satisfaction through the highest quality service and professionalism. Acme believes in constant employee development by learning the latest in state of the art installation techniques and extensive training on top of the line products. We at Acme Tops and Tunes value our customers by completing your vehicle in a timely and cost effective manner. Our commitment to you is complete satisfaction with the final product.